When I was a child, every spring at the first sound of bleating lambs and the call of birds, my heart swelled with an inner excitement. 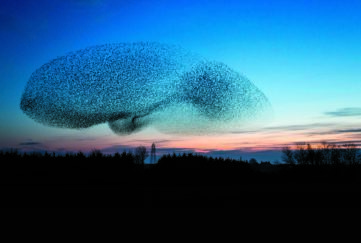 Spring meant that I travelled across my Scotland, ran around the heather moorland, gathered my joys within the glens, built shell villages on coastlines, was a queen in old castles, ran with the monarch of the glen against the wind, watched the fiery fox in his stealth. This was my place in time, where footsteps left no print. made such claims on the land? I’m a Scottish Traveller. Every year I’d leave school at Easter and not go back until after the October hols. I lived in a bus, a single decker 1948 Bedford, which Dad had gutted and renovated with a queenie stove, beds, cupboards and carpets. It was a wonderful home for 10 summers. I picked berries, gathered potatoes, cleaned fields of fallen (brock) wool, and helped Mum when she hawked with her basket of bits and bobs. 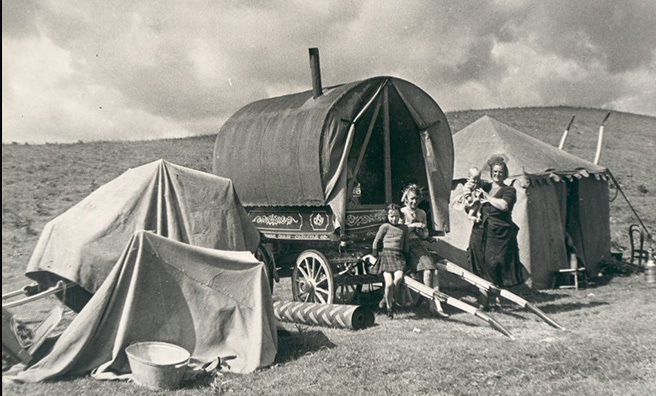 There was always plenty work for Travellers when I was a child, lots of fresh food, running water and fun. Life was easy. 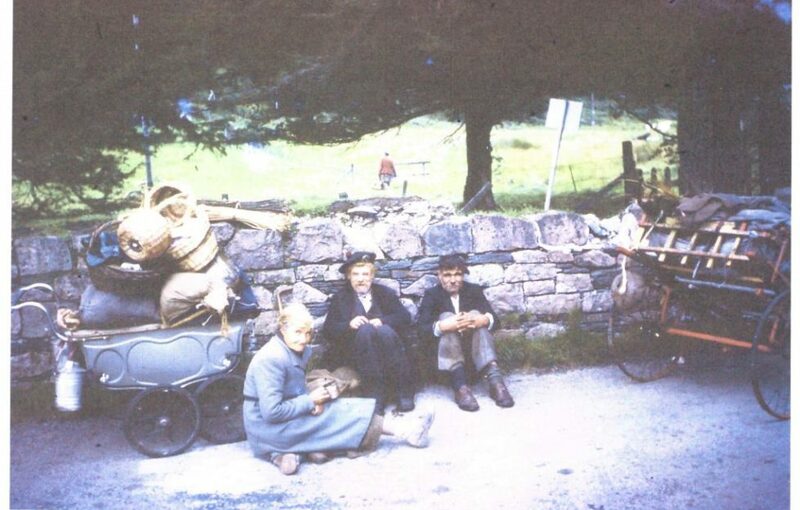 Farmers eagerly awaited Travellers, especially families with hardy young men. 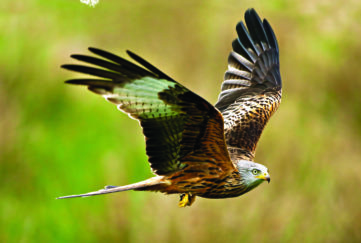 At one time landowners employed Travellers because of their skills with horses and hounds during stalking season. Traveller camping grounds were usually on or near Pictish barrows or Standing Stones. These were places where we felt safe and protected. In days gone by some Travellers lived in caves. Different families had their own grounds, claimed through generations of camping at the same places. 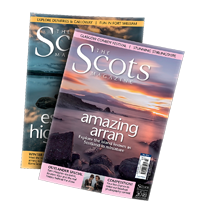 My people were from Argyllshire and Perthshire but we travelled from east to west, north to south. 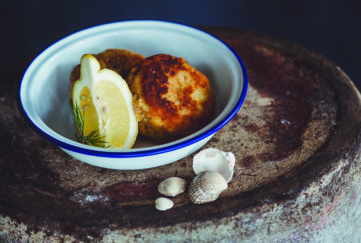 At Loch Fyne they were last seen – if true be that telling. Many Travellers shared history in songs and stories and it was this I loved so much about my culture. An amber glowing campfire at the days end was where history could be learned from elders who just happened to wander onto the site. They would pitch their tent, fill a kettle at the river, find a seat and share their journey. It was amid such surroundings I heard ancient tales of Fairy folk, Jacob’s Stone and Macbeth’s witches, aye even of Scota herself. Speaking of Loch Fyne, the most important place of all was the Tinker’s Heart of Argyll. Travellers married there, were christened at the beginning of their journey and blessed at their farewell. 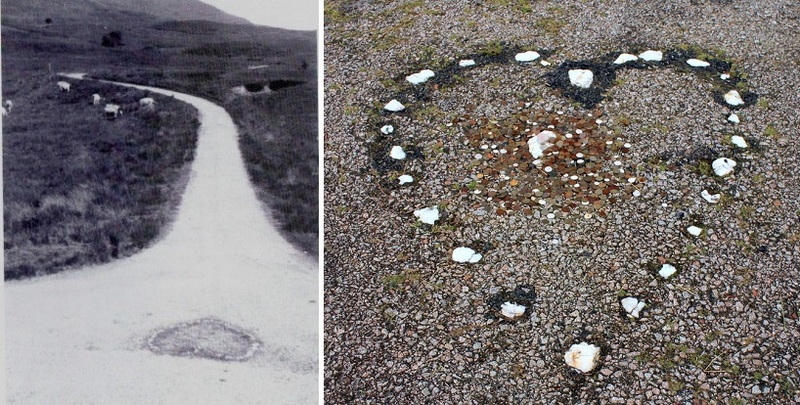 Located at the junction of Hell’s Glen and the old Dunoon road (A815) the site consisted of white quartz stones laid in the shape of a heart. When the road was re-aligned it was left derelict in a cattle field. It is the only surviving monument to the Travelling people in Scotland. Historic Environment Scotland and Scottish Parliament Petitions Committee recently awarded the Tinker’s Heart scheduled status as a nationally important monument. 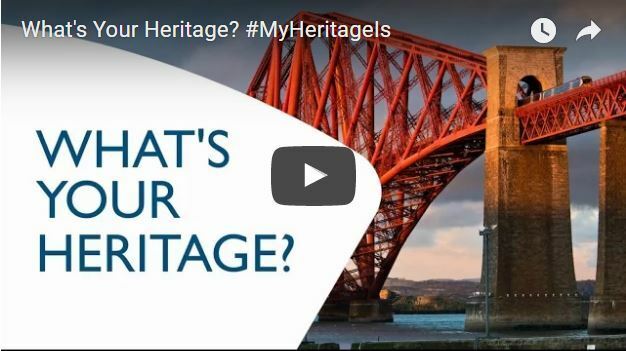 What does heritage mean to me? An old man of the name Erchie Macdonald once said to me when I asked him about the Stone of Destiny, “The stone beneath my two heels lies beneath yours”. 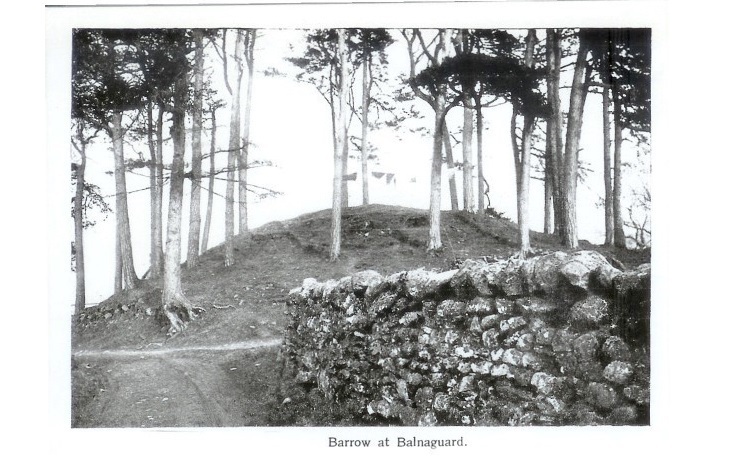 Barrow at Balnaguard. Can you spot the Traveller’s washing line? 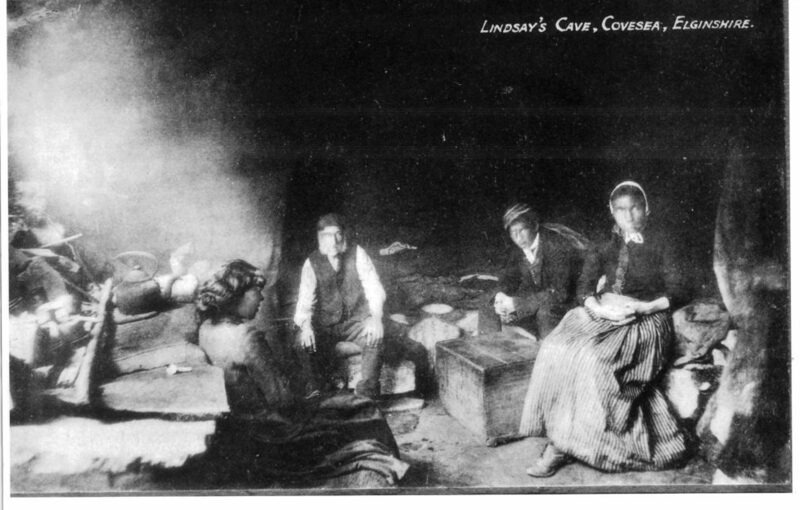 In days gone by some Travellers lived in caves. The Tinker’s Heart – as it was at a junction on the A815. This is Jess’s story, but what is yours? Help the HES record what Scotland’s people think about their heritage.